BLACK FRIDAY, CYBER MONDAY IS ON! Applicable on Grand Videoke Symphony 3 Pro Plus and Rhapsody 3 Pro Plus. The all-new GRAND VIDEOKE 3 PRO Plus Series. The most advanced karaoke system, now upgraded with 8,500+ songs! Featuring Perfect Pitch™ Interactive Vocal Coach. The only karaoke system that can teach you how to sing! 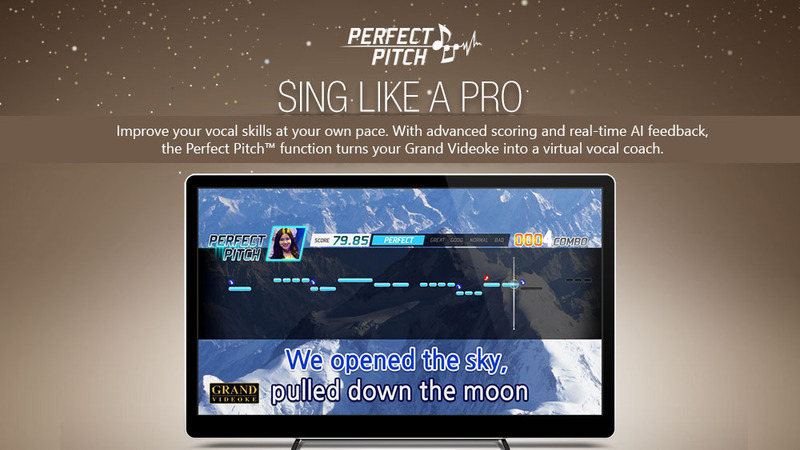 Perfect Pitch™ Interactive Vocal Coach and GV Smart App. Two exclusive technologies. Both made to bring the big show home. CAD 490.00 | SPECIAL OFFER!